I really don’t know how this managed to get missed on my personal page, since I’ve been living and breathing this for the last year. In fact, this particular project is why I was in Korea. What I’m talking about is the Global Scale of English, or what I think of as the GSE for short, a project I’ve been able to work on and inform for the last year. Not only am I pleased to have been a part of this project, I’m happy to continue, and think this is something teachers around the world will find beneficial. Anyone who knows me well, knows I believe a lot in assessment, and the GSE is going to be a game changing tool when it comes to understanding performance and assessment. The reality is, we really need to have something like the GSE in our lives as teachers. Have you ever heard of the CEFR or the Common European Framework of Reference? Possibly, probably, most likely using this in some way to level material and choose materials for your class. The CEFR is a great tool for communicating where our students currently are in terms of the ability to use English and the progress they are making in English. But, and here is the big BUT!, it doesn’t really give us granular insight into where learners are at in the language learning journey. 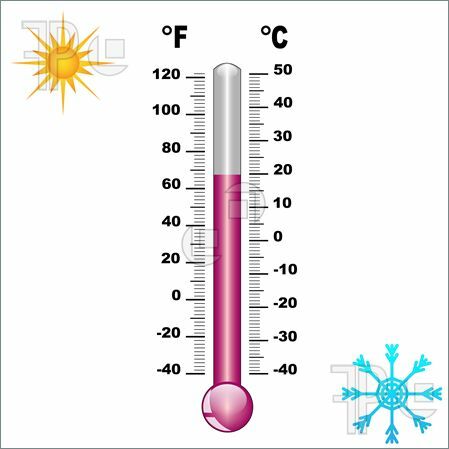 Think about it this way: if I were to ask you on the Celsius scale at what temperature water becomes a solid, you probably know the answer, 0C. If I ask you to tell me about when water becomes a gas, you probably also know the answer, 100C. We have terms that describe where we are at on a scale of measurement like a thermometer. Solid, describes the bottom of the scale, liquid the top. Everything else in-between, though, is just a liquid. Of course, the thermometer helps us out be giving us information about where liquid might be. I know, for example, if I’m cooking a soup, I want my liquid to be between 80 and 90 degrees. If I want to go swimming, I hope the liquid I’m planning to take a dip in is closer to a pleasant 22 to 30 degrees. These degrees give us real insight into where liquid is at, and how close a liquid might be to being either ice or soup. In language learning we have similar words, like ice and gas, to describe our leanrers. Thanks to the CEFR we can say A1 now instead of beginner, or C1 instead of advanced. But the measurement in-between A1 and C2 is the real challenge. If I start working with someone at an A1, I know they are at the beginning of their journey. I could work with them for six months and this learner may still be an A1 level learner. Does that mean they have not improved? No, of course not. They have made improvements, but how do I see it? Enter, the Global Scale of English. With the GSE, we can still use our big umbrella terms, but now I can give a peer, administrator or student, more specific information in relation to that learners performance. If my freshmen students start their course at B1 and finish the semester at B1 it looks like I haven’t been very successful as a teacher. However, if I know that they started the semester at B1 GSE 52 and now they are B1 GSE 55, you know we have done some work and change is happening. That is what the GSE does, it gives teacher granular insight into their courses and programs, to provide accurate detailed information about a learners performance. Not only is this useful, it’s super helpful when it comes to choosing course material, understanding our impact on learners, understanding our learners process and acquisition, and creating content and assessments. We need this to improve our teaching and help our learners achieve more. The GSE provides that insight, divided into the four skill areas (Speaking, Listening, Reading, Writing) and leveled against the CEFR. This leveling accomplished through input from thousands of teachers in the field. This is, really and truly, the first universal and global scale of English. Even better? Pearson is providing the Global Scale of English Learning Objectives to the education community in the public domain. This means we can use the GSE to align our courses, check our content, make our tests, and build new content, understanding where it maps on the CEFR and the GSE, and we can talk about it without fear! I love this thing. I am super excited to build content with the GSE. Aside from being able to help build this project, as a teacher practitioner, I want to use the GSE personally, and I want to share it with all my teaching friends. I will be sharing some more lesson plans, leveled to the GSE as examples fairly soon, hopefully something to look forward to. Enjoy, repost, share, steal, and create new level content! And….coming soon there will be a GSE for Professional Purposes (Business English, etc) and we are working on something for Young Learners. Stay Tuned! This entry was written by saradavila, posted on October 28, 2015 at 4:43 pm, filed under Assessment, Four Skills, News, Teacher Tools. Bookmark the permalink. Follow any comments here with the RSS feed for this post. Comments are closed, but you can leave a trackback: Trackback URL.